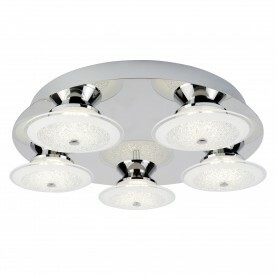 Brighten your kitchen or conservatory with this pretty 3 light ceiling flush in chrome. 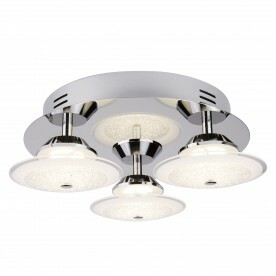 The 3 lights have a stunning crushed ice effect to create a feeling of style and sophistication. They are raised on a solid round chrome base and project light in a downward direction.